It has been a while since my last wedding planning update. I have done a ton of planning, but I’ve also done a ton of other things as well, so wedding stuff at the moment falls in line with the rest of my to-do list. Perhaps it’s because of a longer engagement, who knows? All I know is I have booked all of my vendors and feel like I can do some of the more relaxing parts of the planning process, like working on my registry. I remember when I first moved out, when I was still with my ex. I remember building my furniture collection much in the way as I did in college (hand-me-downs and DYI). I wasn’t about to spend money on nice stuff. I didn’t have the money, nor did I have the space. I always had it in my head that when I got engaged, I would register for nice stuff. Of course at that point I thought I would be marrying my then boyfriend, and follow the typical course of life (marriage, house, family, blahblahblah). 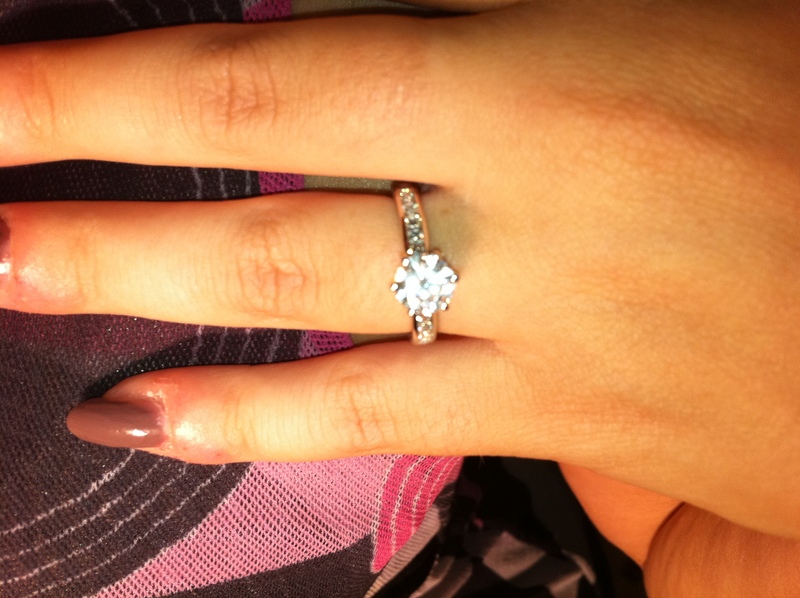 So now that I am actually engaged, reality is quite different that what I imagined. It is not easy building a registry, attempting to predict what I will need in my married life. What is really going to change once I get married? Not a lot at first. So do I really need dinnerware for dinner parties that I may or may not hold in the next five years? And how do you even buy plates when you don’t know what your future kitchen will look like once you get to the point of buying a home? So I’m struggling a bit on this one. I am finding myself spending a ton of time trolling through merchandise online trying to figure out what a good wife needs (luckily, I found some great Amazon coupons here). I tend to lean towards kitchen gadgets because I like to cook. But what about bathroom stuff, or other stuff? I just don’t know. How do you inventory a life not yet lived? And I know that I should just take this as an opportunity to upgrade, to make those incremental improvements to life that I always talk about. But it’s such a strange custom to me. Tell people what you want, have them buy it and wrap it, and then pretend to be surprised when you open something you asked for? And then followed by a personalized thank you note, as though I will remember in five years who got me that food processor? I don’t know, but it’s putting a lot of things into perspective for me. I don’t know what is on the other side of this wedding, because wedding planning isn’t marriage planning. Perhaps this custom will help me consider what tools I need in my toolbox for a successful marriage, but I’ll take the gifts in the meantime. 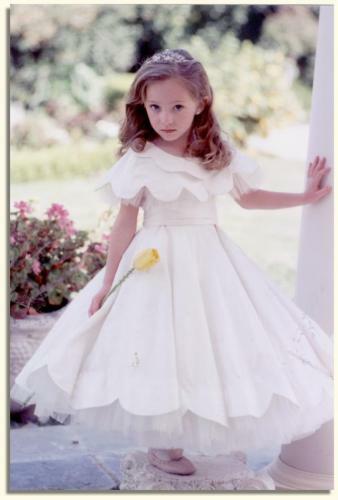 I was never one of those little girls who dreamed up every detail of her wedding day. But I was one of those girls who loved to get dressed up. During Bar & Bat Mitzvah season, I had a chance to dress up a lot. I must have been to something like 30-40 parties. If it were up to me, I would have worn a new dress every time — and as it was, I did have a ton of dresses. Come high school, we didn’t have a lot of dances, and I didn’t go to a lot of sweet sixteens, so opportunities were a little more rare (my dressing up, in effect changed to night club attire). Sure, I went to a few proms, but other than that, all I had was my senior prom. My dress was me to a tee. A long red dress with a leopard print lining on top (see picture here). I still remember the moment that I saw it, and laughed at the irony of finding a piece of clothing so unique that there was no way anyone else would have it. That would have been a nightmare! To show up in the same dress as someone else! God forbid you laugh it off and make light of the situation — hey, you both have good taste. No, girls are more often caddy before comrades. But I digress. Your wedding dress is by far the most important dress a girl will ever wear in her life. Some may not take this decision so seriously, since you only wear it one day. But it is a very important day. I didn’t need to (or want to) spend too much on it, but I knew that I needed to feel like the most beautiful girl in the world in my dress. It’s not every day you try on wedding dresses, and once you do, it’s unlike any other fitting experience you will ever have. It’s hard to transform your mind into looking at yourself as a bride. And I was told so many times that — much like true love — you know when you have found the one the moment you see yourself in it. So I did research, and I started to do some shopping. I started to figure out what I really liked. I know myself style-wise and I knew I needed something unique, something that made me shine. It took shopping at three different bridal shops until I found the one, and the feeling is overwhelming and nerve-wrecking. It was almost hard to get through that emotion to know it was the one. But I did, and I haven’t yet come down from this overwhelming feeling — the excitement, the nerves, all of it. But I found it, and maybe the planning will get easier from here on out, because I won’t have to show up on my wedding day naked. It’s true — I am engaged, and I couldn’t be happier! It does seem like just yesterday that I was reflecting on my brother’s marriage and was unsure of when I wanted to tie the knot, but at some point during the past year my position changed dramatically. Anyone who knows me personally knows that I have no patience, so once it was made up in my mind that I did want to marry my live-in boyfriend, I couldn’t wait for him to propose. I like to say it was “When Harry Met Sally” syndrome — once you realize you want to spend the rest of your life with someone, you want the rest of your life to start as soon as possible. But, in following tradition, I had to wait for him to propose. It was frustrating at times but I knew he was trying to surprise me, and surprise me he did. He knew that if he took me to a fancy dinner or did anything out of the ordinary, I would know he was up to something, so he kept it sweet and simple — one night while watching TV at home, he came out of the bedroom with a platter of cupcakes and the ring. I was completely shocked but so happy (and yea, I freakin’ love cupcakes). It was interesting timing though because I had to get the ring sized and I had a crazy busy time at work and some travel coming up, so we kept the engagement under wraps until I had the ring successfully on my finger. I was bursting at the seams. So now that I have the ring, I can officially say that I feel incredibly lucky and blessed. Six years of friendship, 3 and a half years being a couple, and nearly 1 year of domestic partnership, I can truly say that I am marrying my best friend, the love of my life. I am looking forward to the big day, the pre-wedding festivities, and of course, the marriage. And now for a few promises to my readers. Though I am sure I will be sharing a lot of information about my upcoming nuptials, this will not turn into a wedding blog. I know that life outside of planning a wedding will continue, and I plan to continue writing this blog following the idea it was built on — my journey to age thirty. And a promise to my friends, family, and fiancee — I will not be a bridezilla. I know that “my day” will be “my day” but there are others that have a stake in it, and I want everyone to have a good time. My fiancee and I are funding this wedding all by ourselves, so we will have to get creative to make this day special. But I know it will all be worth it to be able to call him my husband and celebrate with all of those we love.